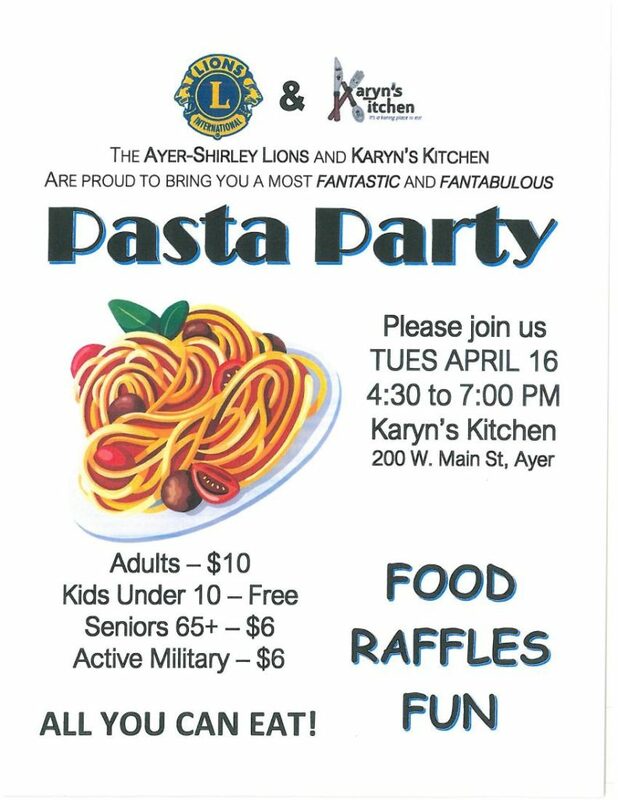 The Ayer-Shirley Lions and Karyn's Kitchen are proud to bring you the most fantastic and fantabulous Pasta Party! Please join them on Tuesday, April 16th, 4:30-7pm at Karyn's Kitchen in Ayer, MA. All you can eat! Food, raffles, fun!